*The cost of this 50-page short story might seem high at $2.99, proceeds from the sale will be donated to this nonprofit organization: Hero Dogs. * Check out the author’s website for more information! 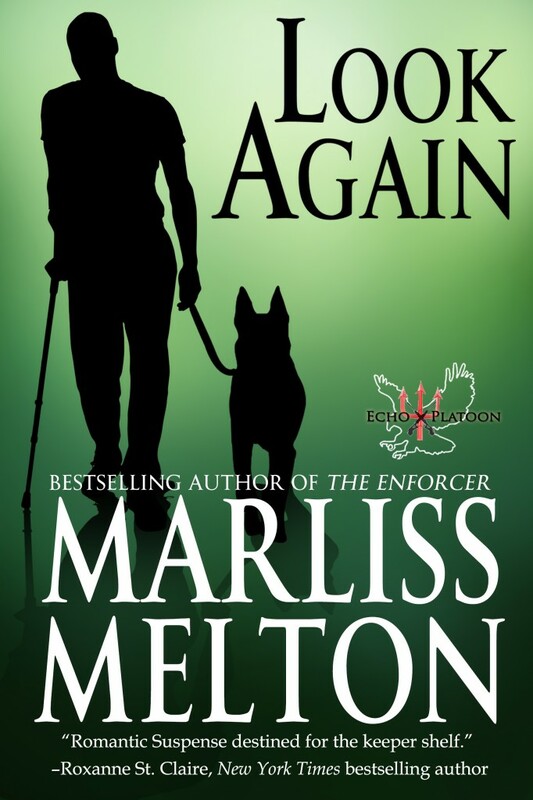 LOOK AGAIN by Marliss Melton is an exciting Romantic Suspense. #1 in Echo Platoon series! A quick novella. Navy Seal and his canine what a story and what a beginning to a new series. This is sure to be an amazing and exciting new series, from author Marliss Melton. Ms. Melton has combined her knowledge of NAVY S.E.A.L.s, Military service canines with romance and suspense. A very satisfying, awesome read from the first page to the last! I look forward to the next installment in this what is sure to be exciting new series. The characters are engaging, and enduring. The storyline is well written with an intriguing and satisfying end. Well done!